2018 is just moseying along! Spring has officially arrived, although you wouldn’t know it by looking outside as there are snowflakes dancing around in the wind as I type. But, we have had some above zero days, so that’s promising! I actually don’t mind the colder weather, as I find it conducive to staying in and creating. My ideal day is a lazy Sunday at home with a snowstorm raging outside and a day full of making inside! Which, I guess, is why it’s been a busy first quarter for me! 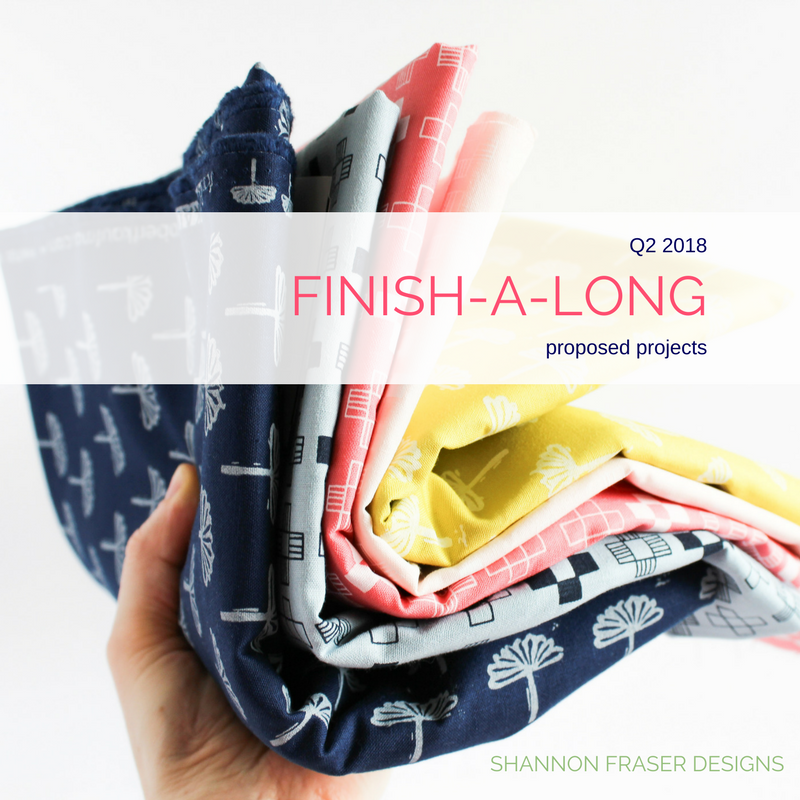 I’m pleased with how many quilty projects I’ve been able to knock off my Q1 2018 Finish-A-Long list!! The satisfaction of crossing a project off a list has got to be one of the most gratifying benefits of keeping track of your projects! Whether digital or paper based, I love that feeling of ticking off another item as done, don’t you? And this month feels as though I did that a lot. Let’s check it out. This is one of the snuggliest quilts I have ever made. 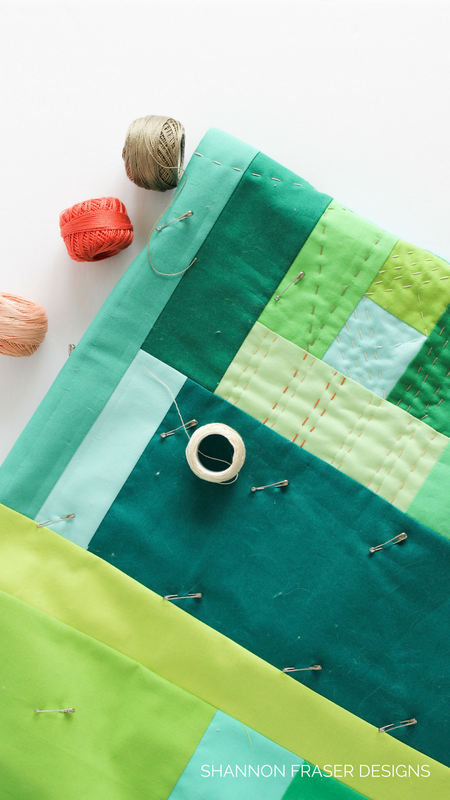 The matchstick quilting is not only aesthetically pleasing, but it creates THE most snuggle worthy quilts. The weight all that thread adds and the cushiony feel of all those little pillowy pockets created by those lines leads to intense quilty joy! That texture combined with the silky softness of Art Gallery Fabrics is just perfection. This is the second quilt I’ve made using my Plus Infinity Quilt Pattern. 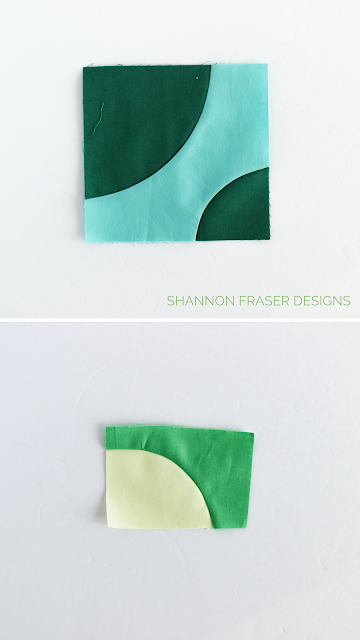 The first featured all Cotton Supreme solids by RJR Fabrics for their What Shade Are You blog series. And this one I opted for Pat Bravo’s Heartland fabric collection. I love how different the looks are. 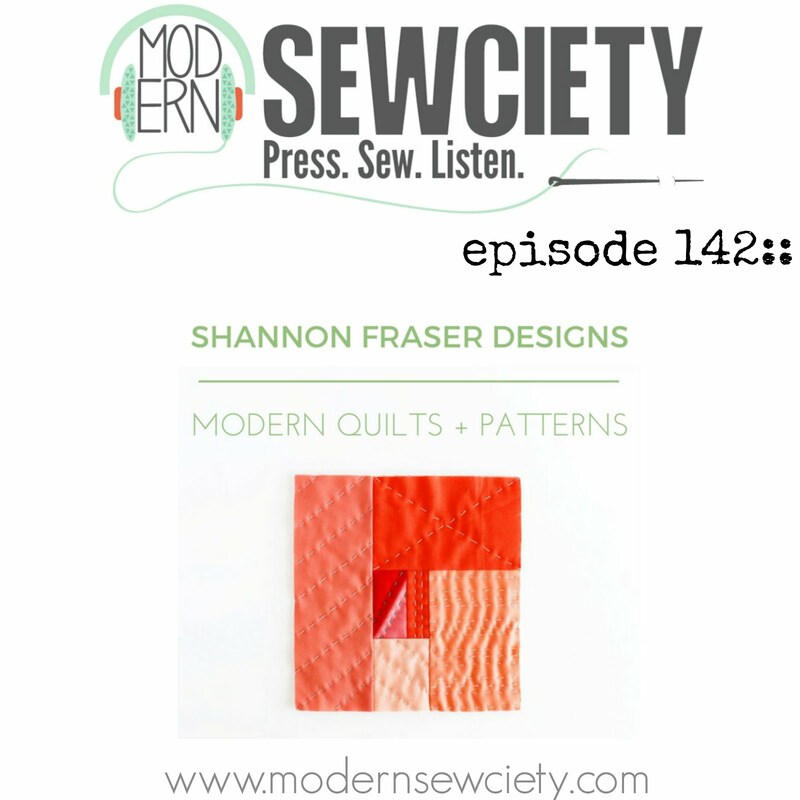 This pattern is so versatile, I’m already plotting my next colourway to play with! Get the Plus Infinity quilt pattern here. 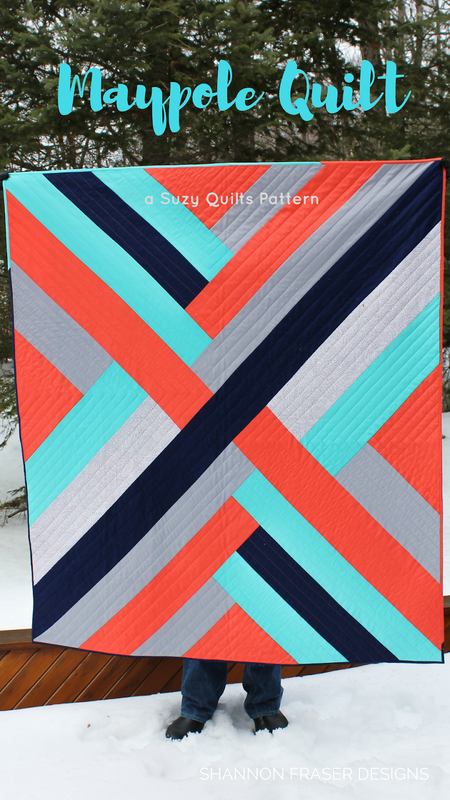 The saturated colours I used for from Michael Miller Fabrics’ Luxe Collection for my version of Suzy Quilts’ Maypole quilt just add to the visual impact of the graphic quilt design. 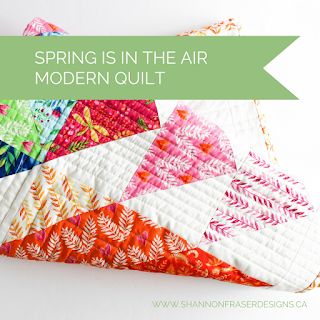 I loved working on this quilt and am thrilled she’s no longer sitting draped over the back of my sofa waiting to be finished. She kept me nice and warm back in December as I finished the hand binding. You can get your copy here and bring your own colourful touch to this quick pattern! 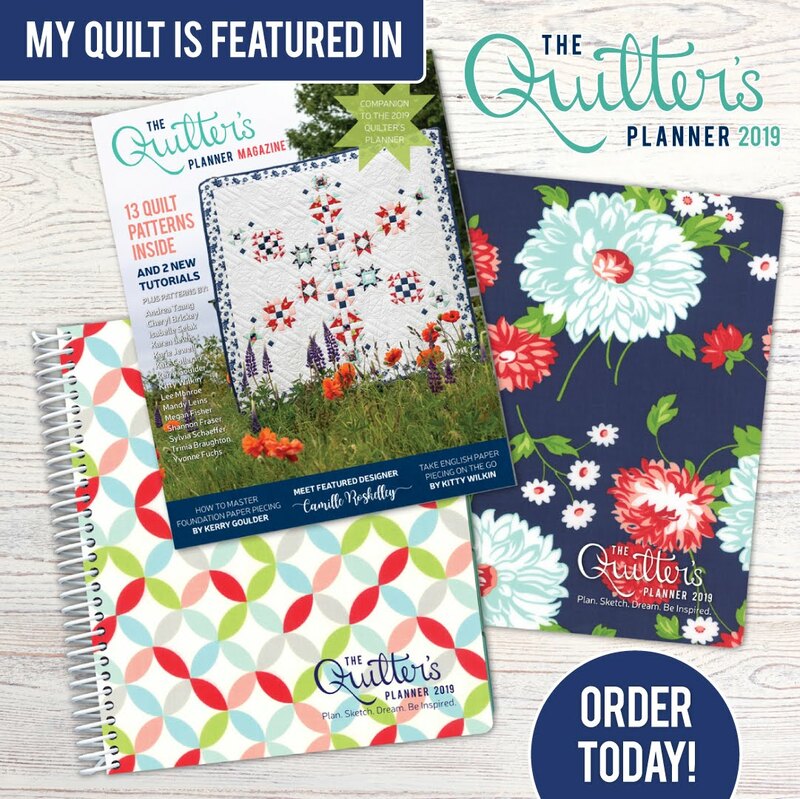 I love having the opportunity to collaborate with other quilters, designers and makers, and getting the chance to work with Tamara Kate’s fabrics is always an awesome experience. 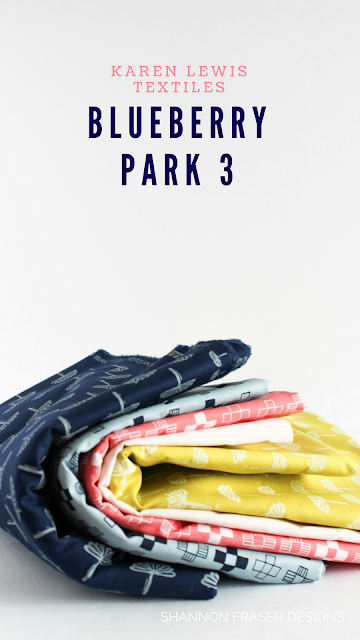 First, Tamara is just the sweetest and I love her cheerful prints. 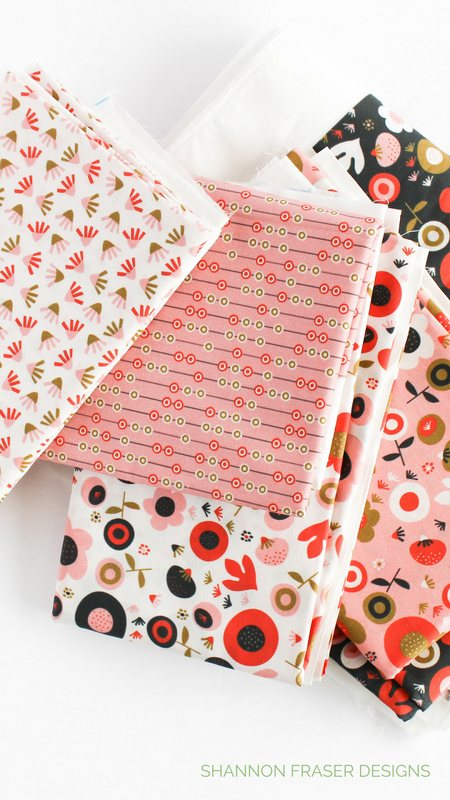 Her latest Joy fabric collection for Michael Miller Fabrics doesn’t disappoint. 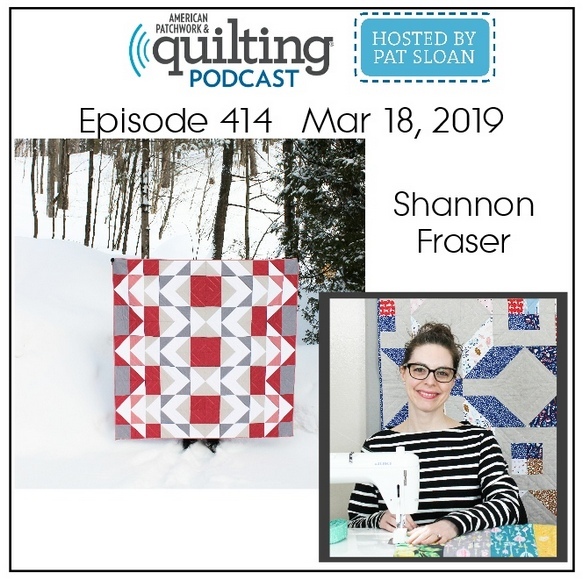 I took some time coming up with a quilt design that would truly feature those gorgeous prints, but I think the Reverberance Quilt Pattern was the perfect design. 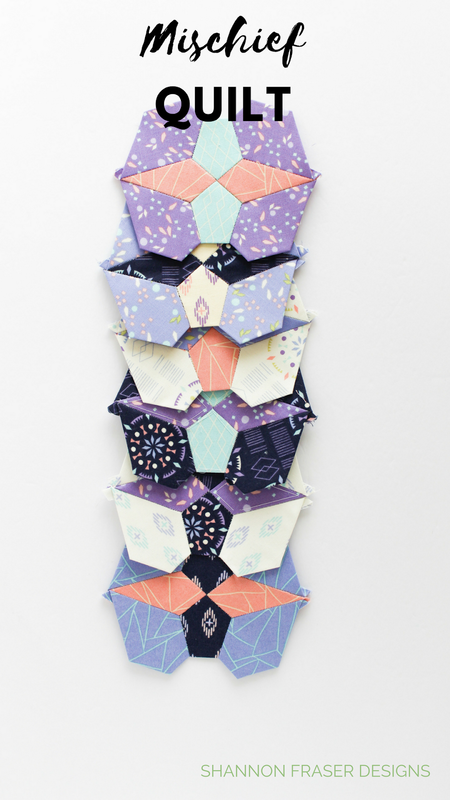 I have a ton of little improv Drunkard’s path blocks that I created while preparing a lesson for the Montreal Modern Quilt Guild’s skill builder. Now I just have to figure out what I’m going to do with them all! These just need to be framed, but I have yet to get myself to Ikea to find frames for them. The silly thing is, I know they will bring me so much joy once I get them framed and hung, so I should really just get on that! 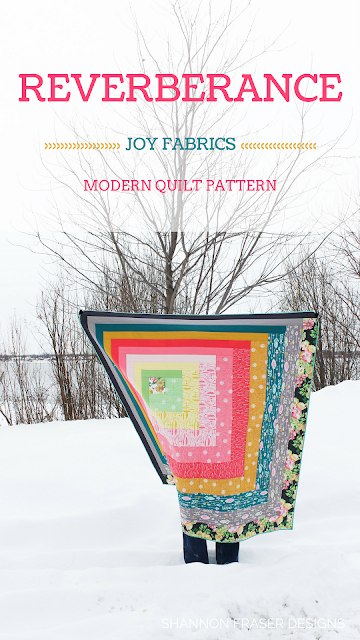 Pattern design by Suzy Quilts and available as a bundle here. I’m disappointed I haven’t had the chance to work on this quilt. I really think she will look amazing once done. 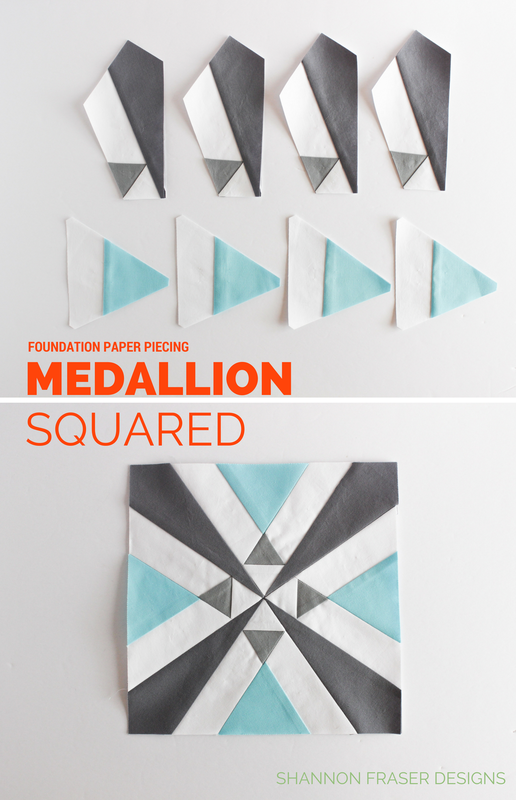 Plus, it’s fun to take a break from traditional piecing and mix in some foundation paper piecing (FPP). 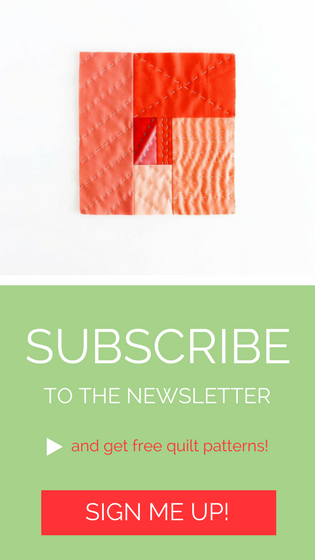 This is a free pattern for newsletter subscribers and here’s a full tutorial on how to piece this block for FPP success! Every time I open my fabric cupboard, I’m tempted to finish my Sewcial Bee Sampler blocks (here is Row 1, Row 2, Row 3 and Row 4) just so that I can get to work with this Menagerie – Birch Eggplant Rifle Paper & Co for Cotton + Steel backing! 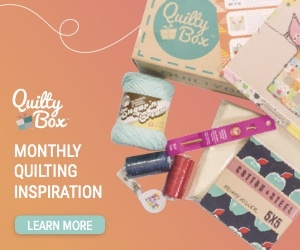 Do you find fabric being a motivator for you too?!! I haven’t touched these, but I HAVE been thinking about that hexie leftover from my Hexie Stripe Quilt. 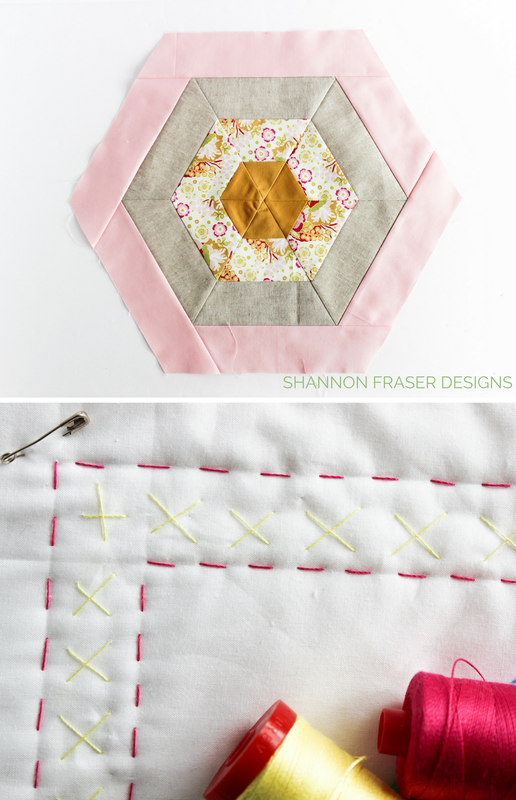 I’ve been on a log cabin quilt kick as of late (I even have this Pinterest board to feed that obsession 😉) and it got me thinking about continuing to build around that central hexie as I have been. 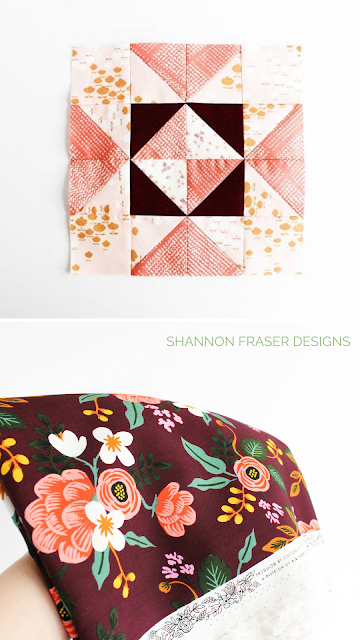 It could be a perfect opportunity to use up fabric strips in my scrap stash. All that’s left to move her off my WIP list is to bury threads and not a single thread was buried on this one…not a single one! 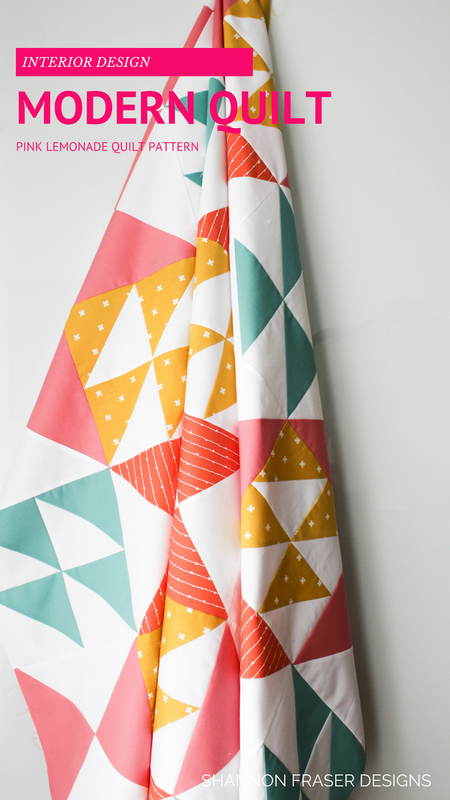 I’ve been really busy with other projects, which is why I haven’t touched my Weight of Love quilt by Libs Elliot. But I REALLY want to see her done. 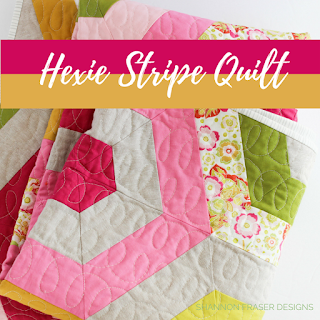 Hmm, I’m not sure how I forgot to add this one to my Q1 list because I’ve spent hours and hours hand quilting her over the holidays! 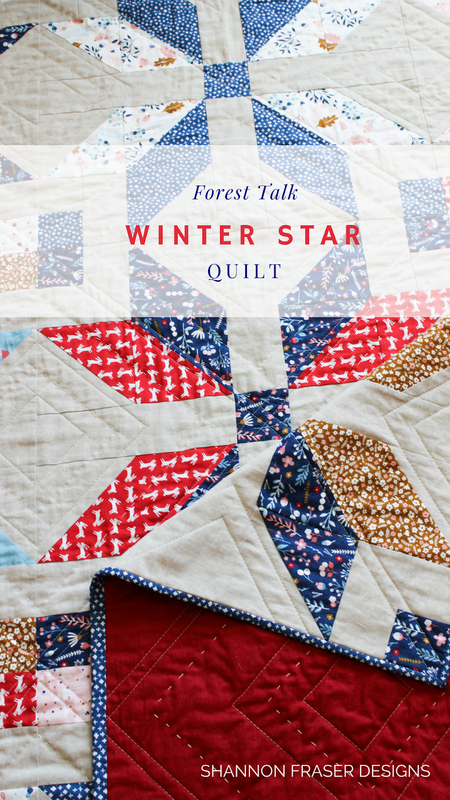 This is my Winter Star quilt pattern I designed (and the first one I ever released!) 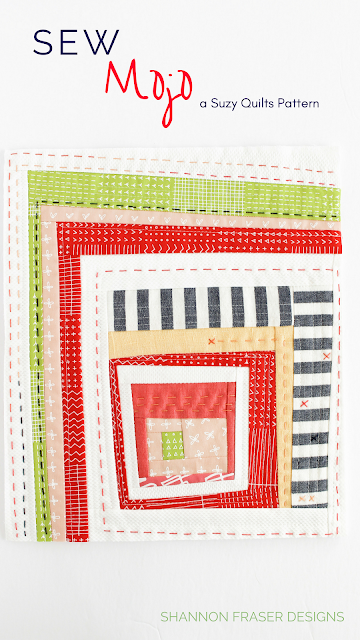 as part of Pat Bravo’s Heartland fabric collection blog hop. It was so fun to revisit this pattern using Cathy Nordstom’s Forest Talk collection for Andover. And the good news is, she’s done and just needs to be shared, which I hope to get to soon! Get the Winter Star quilt pattern. 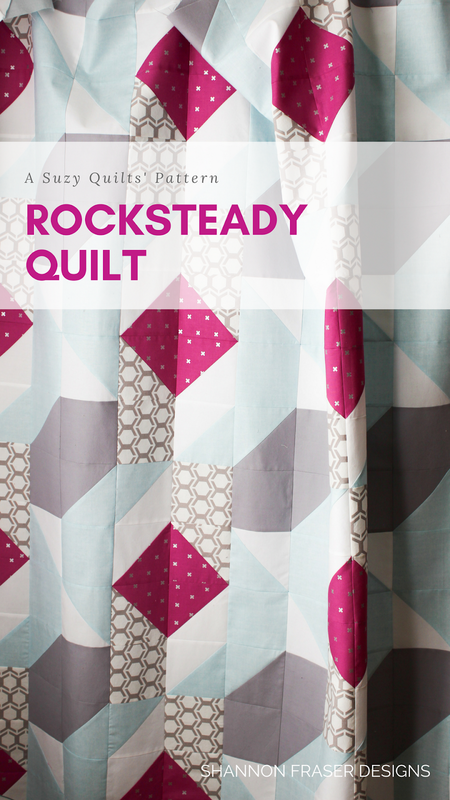 Although I went for a softer palette while testing out the Rocksteady quilt for Suzy Quilts, I still ended up sneaking in a plummy pop of colour. I wanted those little diamond shapes to pop against a softer background that felt like streams of water. You have the rooted diamonds to show strength and stability, while the streams represent flexibility and change. You need both in this life and this quilt reminds me of that. I’ve got her fully basted and she’s now replaced my Maypole Quilt and is draped over the back of the sofa. You can find the Rocksteady quilt pattern here. 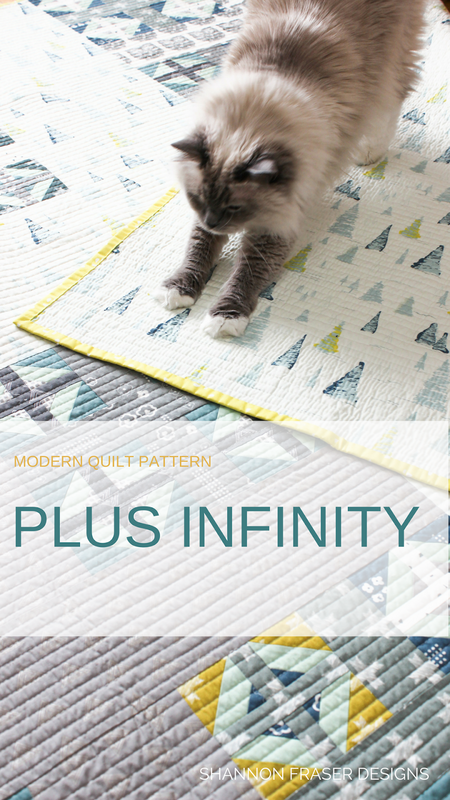 I’ve been working on a new quilt pattern design and the first version is going to be made using this fun Meow Collection by Riley Blake Fabrics. Keep an eye out on Instagram for progress picks before the pattern is released later this summer. 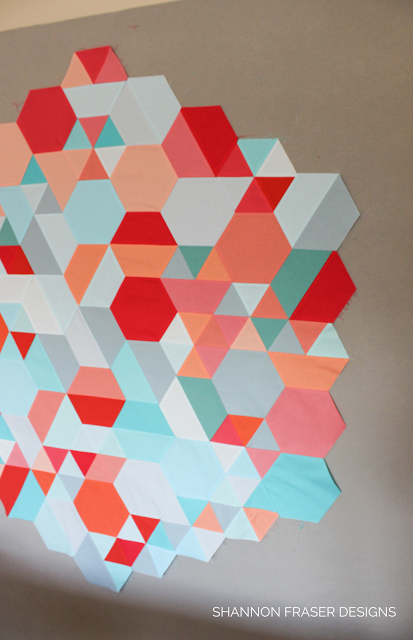 I’ve forgotten to add this modern improv log cabin wall hanging to the list. Not sure why, as I’ve really enjoyed working on her. 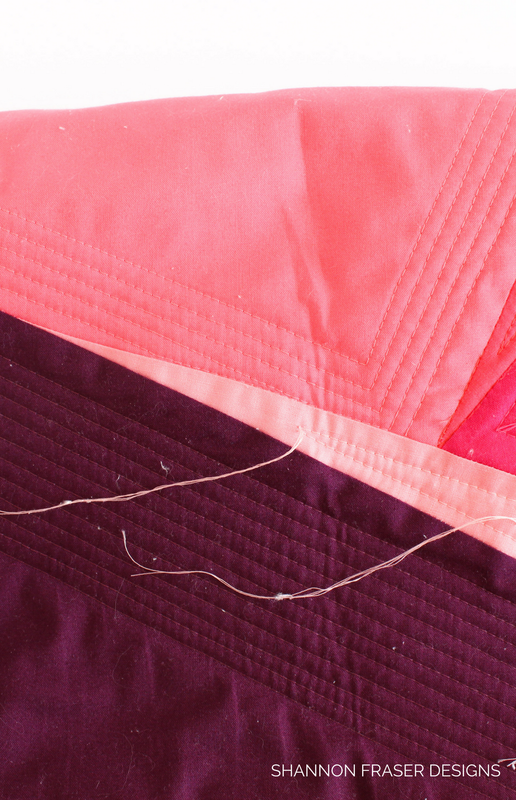 She’s fully pieced and basted with big stitch hand quilting well underway. I’ve been sneaking work on her when I’m travelling. Progress is therefore a little slow, but she’s not very big, so I should be able to complete her soon enough! I am hands down the slowest EPPer ever! And that’s ok! I knew when I started this project that it would be a long WIP, so I don’t stress about it, I just sneak in a block here and there. Even though there is no way this project will be finished in this quarter, let alone in 2018, I thought she still deserved to be added to the list so I can keep track of her. You can find the Mischief Quilt pattern here. 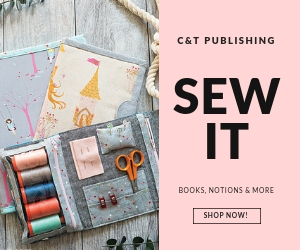 I’ve been sharing some updates about my secret sewing projects in my weekly newsletter (you can sign up here) and, although I can’t share many details, I thought I would share some of the fabric bundles I’m getting to play with. 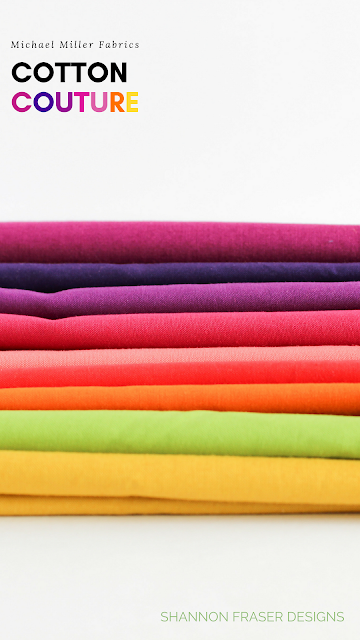 All I can say is that it involves these stunning Cotton Couture solids by Michael Miller Fabrics. 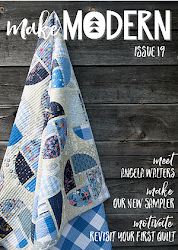 This one features Karen Lewis Textiles latest Blueberry Park 3 collection for Robert Kaufman (available in May 2018). I love collaborating and I’m thrilled to have the chance to do just that with Camilla Carvalho of Oak Print Design, a local surface pattern designer. 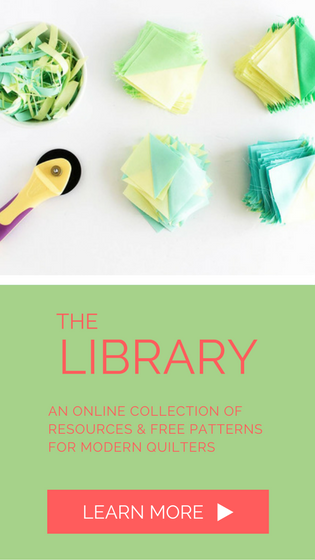 You can find these pretties in her Spoonflower shop. The secret sewing projects are very diverse, and I can’t wait to let the cat out of the bag on these ones!! I think that covers it! Ha! And helping me stay on track every month is a handy project planner that I have stuck on the wall next to my sewing machine! 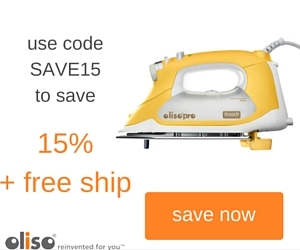 You can get yours too by signing up here. 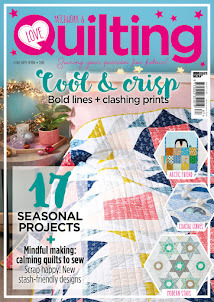 I’m linking up with Izzy from Dizzy Quilts for this quarter of the Finish-A-Long and look forward to seeing all your projects too! 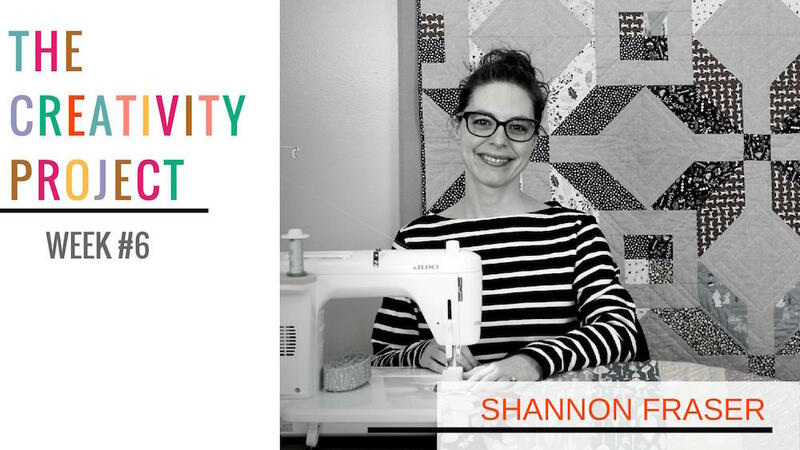 That is one awesome list Shannon! I’m really excited to follow along as you get these finished! 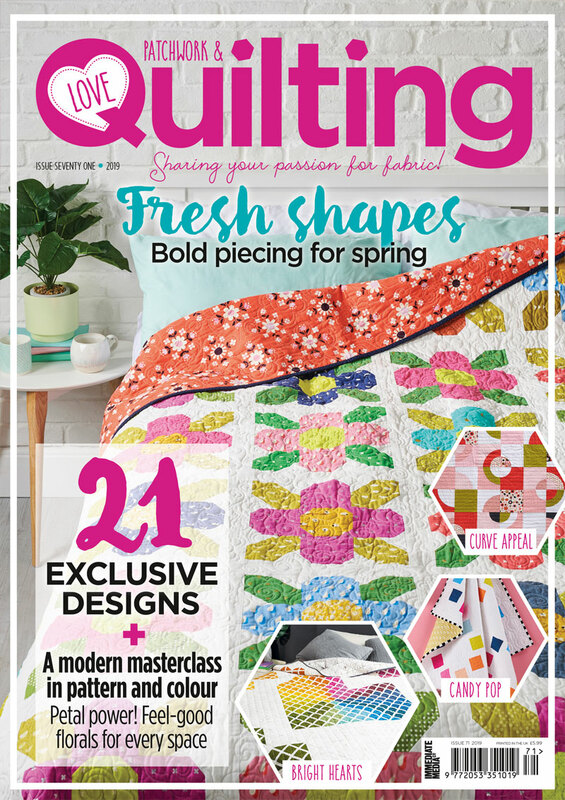 Now that is just a list full of gorgeous quilts! You can totally finish up a few of these. Thanks for linking up with the Finish-A-Long on behalf of the 2018 global hosts.